James Birchall began his musical education as a chorister at St George’s Chapel, Windsor Castle. He was then a music scholar at Winchester College and a choral scholar at St John’s College, Cambridge, where he studied with David Lowe. James is currently studying with George Gordon on the opera course at the Royal Scottish Academy of Music and Drama following studies with Ryland Davies and Jonathan Papp at the Royal Academy of Music. 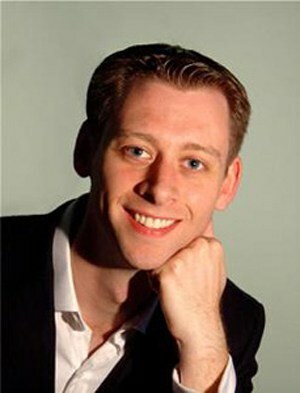 James has sung many of the major oratorio roles, notably Handel’s Messiah and Beethoven’s Choral Symphony, both with the CBSO in Symphony Hall, Birmingham, Bach’s St John Passion with the London Mozart Players in St Paul’s Cathedral, Christmas Oratorio in Kristiansund, Norway and St Matthew Passion in Symphony Hall. He has also performed Messiah in Gloucester, Worcester and Hereford Cathedrals, St John Passion in Chichester Cathedral with the Hanover Band and Charles Wood’s St Mark Passion in Cambridge for BBC Radio 3, which he has also recently recorded for Naxos. He has twice appeared as a soloist at the Three Choirs Festival, performing Vaughan Williams’ Serenade to Music and Purcell’s Hail Bright Cecilia. James made his operatic debut in 2004 as Swallow in Britten’s Peter Grimes with Cambridge University Opera Society as well as performing Britten’s Curlew River with the Birmingham Opera Company at the Royal Albert Hall at the BBC Proms. More recently he has sung the roles of Mephistopheles in Gounod’s Faust for Kennet Opera, Zuniga in Carmen for Oxford International Links and Antinoo in Monteverdi’s Il Ritorno di Ulisse in Patria, Capulet in Gounod’s Romeo et Juliette and Peters in Meyerbeer’s L’Etoile du Nord at the RAM. Forthcoming engagements include Messiah in the Usher Hall, Edinburgh and further performances of Christmas Oratorio in Norway.